Registration is now open for Fun at First & Main — Animal Adventure, brought to you by Akron Children’s Hospital and Northeast Ohio Parent Magazine! 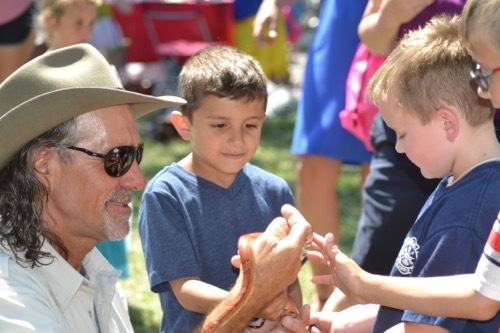 Animal Adventure will feature Akron Children’s Hospital’s heart-warming Doggie Brigade and live animal encounters with the famed Jungle Terry. The first 250 registered families qualify for a free 2018 Fun at First & Main T-shirt, so don’t delay! Fun at First & Main — Animal Adventure is a free family event held at Hudson’s First & Main on June 5 from 11 a.m.-1 p.m.
Parents, caregivers and kids will also enjoy crafts, games and other activities, as well as balloon twisting, face painting, music and entertainment from 95.5 The Fish radio station, and more! Click here to register. Like us on Facebook for more information and updates on each installment of our summer event series!